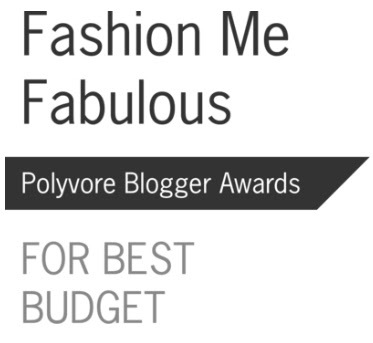 Polyvore Blogger Awards: We've Been Nominated! We love Polyvore! It's our favorite blogging tool because it lets us show you outfits, ideas and inspirations. Plus, it just lets of play with fashion. Who doesn't love that? To enter, just create a set that feature our badge (pictured to the right), which you will find in the featured items on the Polyvore contest page. You can vote up to 20 times. Thank you for reading! Thank you for voting! And thank you, Polyvore, for the nomination! I'm workin' hard to represent! Becca, my latest submission features a red skirt (Red Wings) and a blue skirt (Detroit Tigers) and lots of photos from the Motor City. Nora, That is awesome! Thank you!